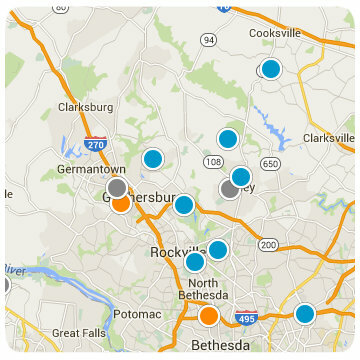 Search all Frederick County, MD property listings on our easy to use Frederick County MLS real estate search. 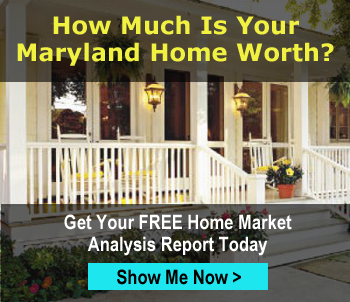 Get daily email alerts of homes for sale in frederick county MD including new homes, townhomes, condos, farms and land for sale as they become available and whenever prices change. Frederick County is located in the northern part of Maryland, bordered by Pennsylvania to the north, and separated from Virginia by the Potomac River in the West. As of the 2010 U.S. Census, the population was just over 240,000. The countryside is a beautiful place to search for your new home in Maryland. Frederick County is included in the Washington-Arlington-Alexandria, DC-VA-MD-WV Metropolitan Statistical Area. Like other outlying sections of the Washington metropolitan area, Frederick County has experienced a rapid population increase in recent years. Frederick city has quick and easy access to US 15, 70, and 270. This gives commuters in Frederick convenient access to southern Maryland cities running along 270, including Urbana, Germantown, Rockville, Kensington, Bethesda, Silver Spring and D.C. During non-rush hour, southward it takes about an hour to get to the 495 beltway. This makes for excellent country living with a livable commute into the big city. Going west, Harpers Ferry, West Virginia is just a hop over a couple bridges and about 30 minutes away. Martinsburg and Charlestown West Virginia are about 35 to 40 minutes to the west. Access east via 70 takes you to Mount Airy and Damascus and all the way to Baltimore, bypassing 270, 95 and 495. The city of Frederick is a sprawling community with various social events throughout the year. Downtown Frederick is built on a grid, similar to the type you might find in the older parts of Philadelphia and Washington D.C. Historical brick homes and converted duplexes and apartments can be found throughout the city. Frederick has put a lot of time into their community parks and memorials and it shows. The creek that runs through down town and baker park is lined with a pathway that adds beautiful scenery to an already bustling nightlife complete with family restaurants and bars. We are happy to help you find a new home in Frederick, or in the surrounding suburbs. There are new single family homes and town homes for sale in Burkittsville, Walkersville and Ballenger Creek, to name a few. If you are trying to find out more about new construction homes in the area, please contact us for more direction so we can give you the most up to date information possible. Frederick County is ideal for people who want to live in a relaxing, friendly place close to the escape of the outdoors. It is home to many of the farm houses for sale in Maryland's western region. For those looking for wooded land for sale, or living more secluded from the hustle and bustle of the populous city, Thurmont and the Catoctin mountains are about 20 minutes north on Route 15. The hiking trails are endless, and the canoeing and camping is bountiful! If you need to practice shooting before deer season, no worries. Frederick county is home to numerous ranges, including a local Issac Walton League Chapter. Please contact us if you have any questions at all about homes in the area. We are local and would love to show you real estate in the area that fit within the parameters of what you are looking for!